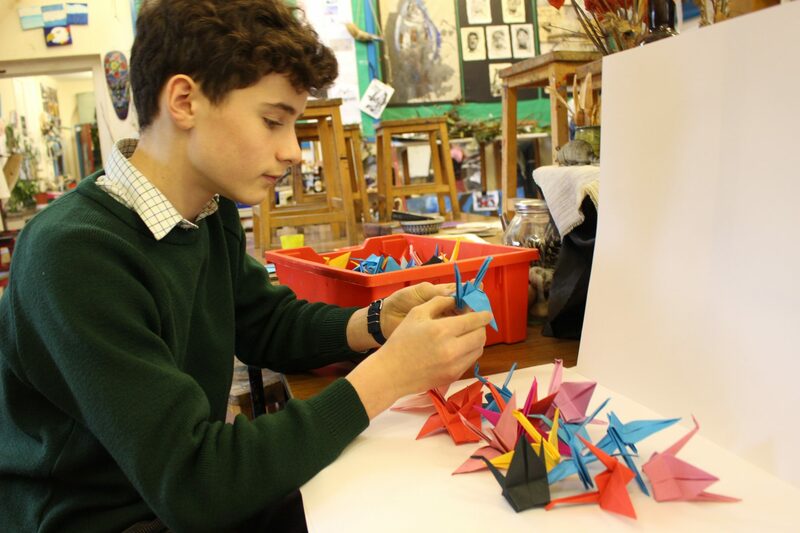 Following his recent trip to the Children’s Peace Monument (or ‘Tower of a Thousand Cranes’ as it is sometimes known) in Hiroshima, Year 8 pupil and Head Boy, Stanley, has been working on his own paper crane installation in the art studio. “I was really inspired by my visit to the monument,” he says. “It was built to commemorate a young girl called Sadako Sasaki who died of leukemia ten years after the atomic bombing. She believed that folding paper cranes would help her recover and they have since become a symbol of peace in many countries around the world.” Stanley plans to send a selection of his paper cranes to be displayed at the monument, while the others will be used in his installation to promote peace. What a brilliant and powerful idea, Stanley; we are very proud of you. 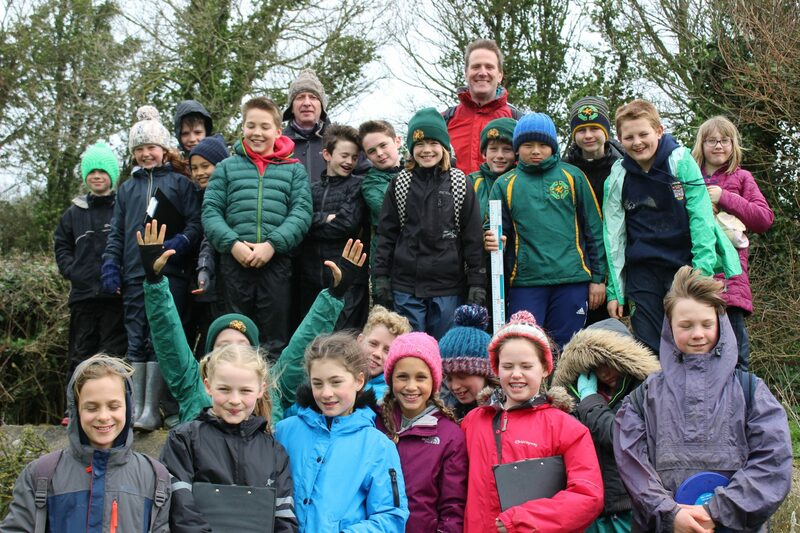 Our Year 6 geographers braved the wind and the rain on their field trip to carry out data collection on the River Axe last week. As well as investigating river processes at work they measured the depth, width and speed of the river from its source in Cheddington to its mouth in Seaton. Many thanks to Mr Coverdale, Mr Ringelberg and Mrs Byrne for a thoroughly enjoyable day of learning. Our Heads of School came together for Prefects’ Tea in the Headmaster’s Study recently, where they discussed everything from their roles at Perrott to their ambitions at their next schools. Prefects are appointed in Year 8 as recognition of their personal qualities and efforts and it’s their job to set the tone through their conduct and behaviour. We are extremely proud of the way this group of senior pupils have provided leadership through example and encouragement this term; our younger children are fortunate to have such strong role models to look up to. Well done, team. Last Friday saw our annual House Poetry Recitations and, from the Year 4 children opening the show with French poem ‘J’aime Papa J’aime Maman’ to the incredible house and individual performances from Pre-Prep all the way up to Year 8, we didn’t want to it end. Very well done to all the winners and to Blackdowns, who were victorious with their excellent rendition of ‘Goldilocks’ by Roald Dahl. The biggest thanks to our judges from Blundell’s and to our Head of English and brilliant house staff for their encouragement and inspiration. 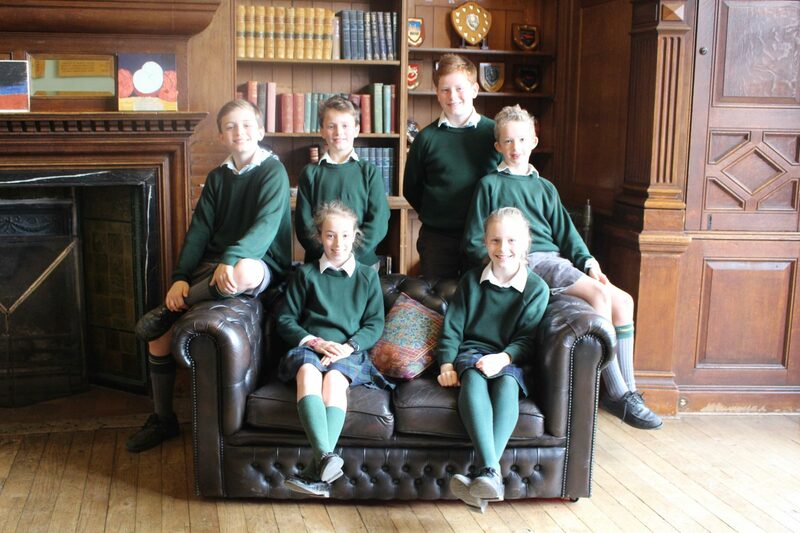 For the first time in recent Perrott Hill history, last week’s Year 7 debate was too close to call! 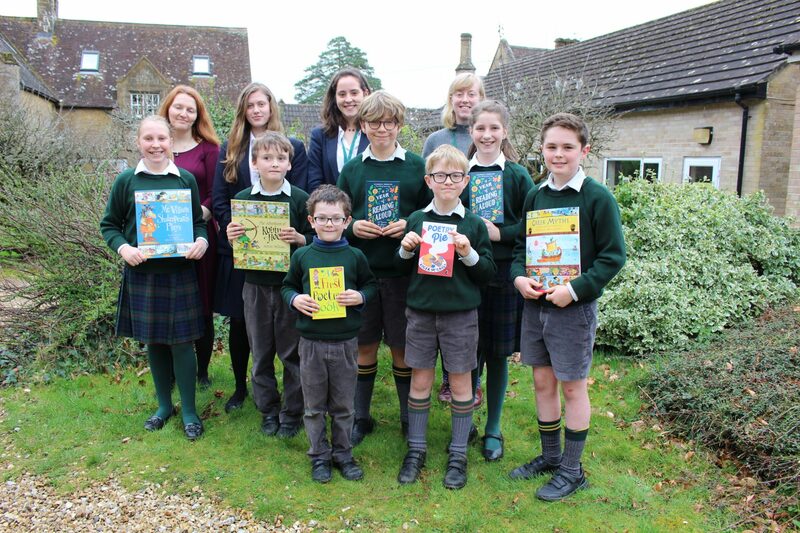 Pupils were contesting the motion, ‘This house believes that break time is more important than lesson time,’ with some well-researched and thought-provoking arguments put forward by both sides. Very well done to all the children involved (including chair, Nia, and timekeeper, Pelayo, who are not pictured). 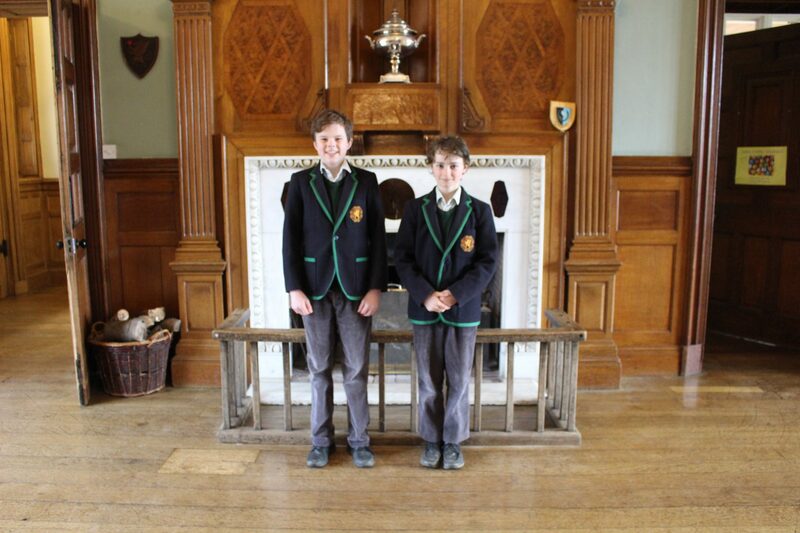 Yet more scholarship news this week… Many congratulations to Ed, who has been awarded an Academic Exhibition and Ted, who has been awarded an Art Scholarship, both to Sherborne School. Very well done, boys. This takes the number of scholarships this year to an incredible 24 awards (across 16 pupils), out of a year group of 26. In the words of the Tatler Schools Guide, ‘sterling stuff for a smallish school.’ Proud to be Perrott! 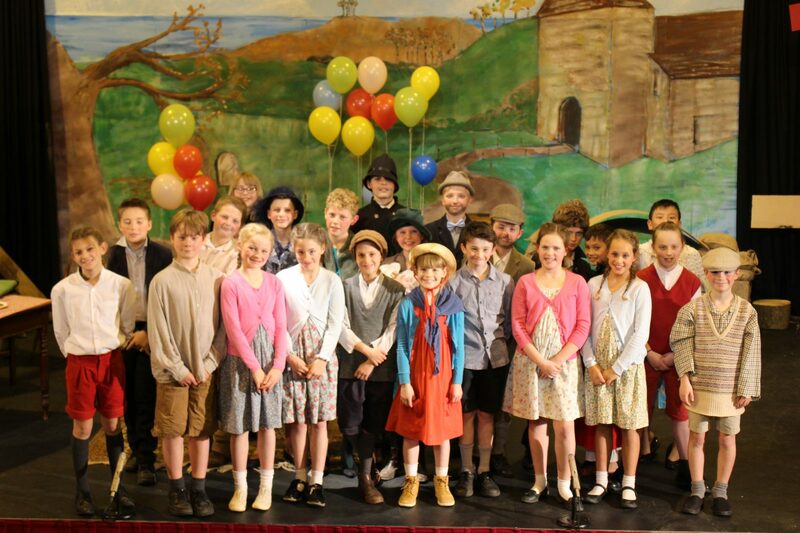 We were blown away by the incredible Year 6 production of Goodnight Mister Tom last week. As well as some stand-out performances on the stage, the musical accompaniment was in the form of a band made up entirely of Year 6 pupils – impressive! We loved the beautiful rendition of Grade 5 song, A Nightingale Sang in Berkeley Square. If that wasn’t enough, the play was scripted by Year 6s as part of a cross-curricular project with history and English. Huge thanks to the masterminds behind it all: Director, Mrs Byrne, and Musical Director, Mr Shortman, along with all the staff involved. The full album of photographs can be found on our Facebook page. 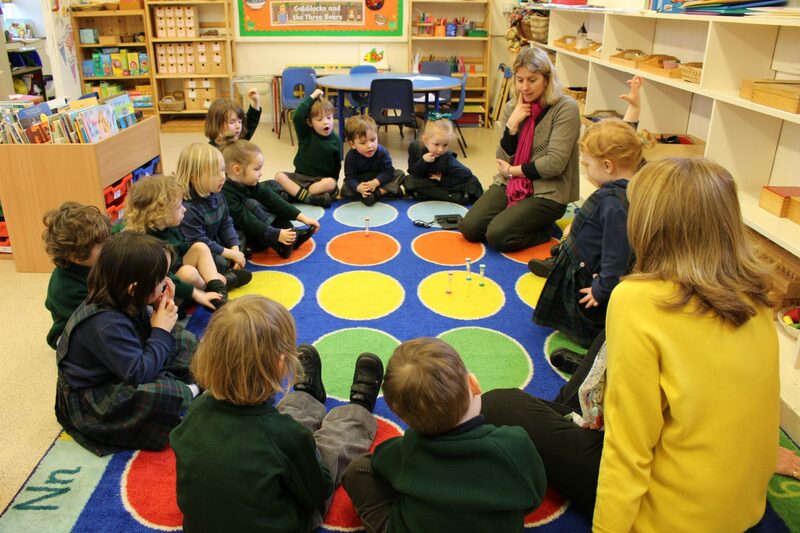 Our Nursery children have been enjoying some cross-curricular English, maths and science this term. Following a discussion about classic folktale The Gingerbread Man and how long it might take to bake their own gingerbread man, the children looked at time – and had a ‘race’ involving four different egg timers. Finally, they did their daily finger time activities using a stopwatch. Some brilliant and fun learning going on! Thanks, Miss Becky and Miss Sarah. 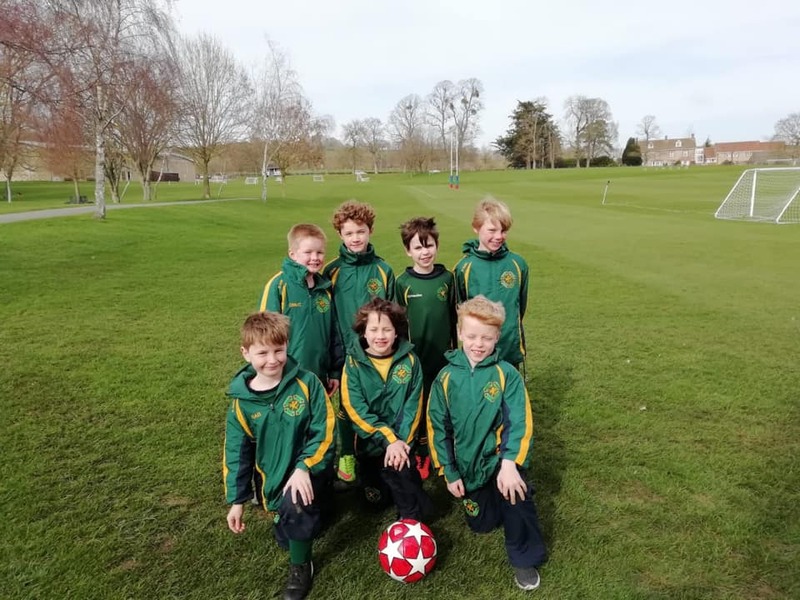 Well done to our U8s who took part in the Millfield Football Tournament this weekend. The boys had a brilliant afternoon of football and played their socks off. Many thanks to our friends at Millfield and Port Regis for some great matches. 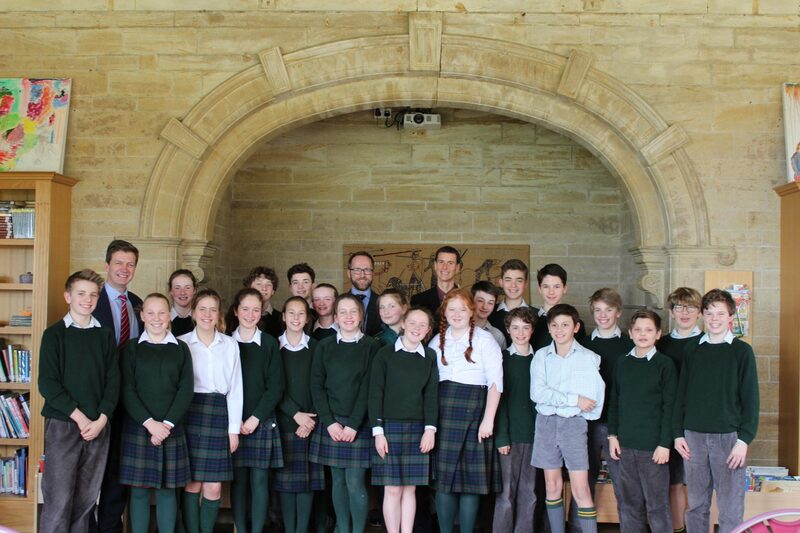 Many thanks to Mr Salmon and Mr Vandvik from Canford for an informative visit this week. 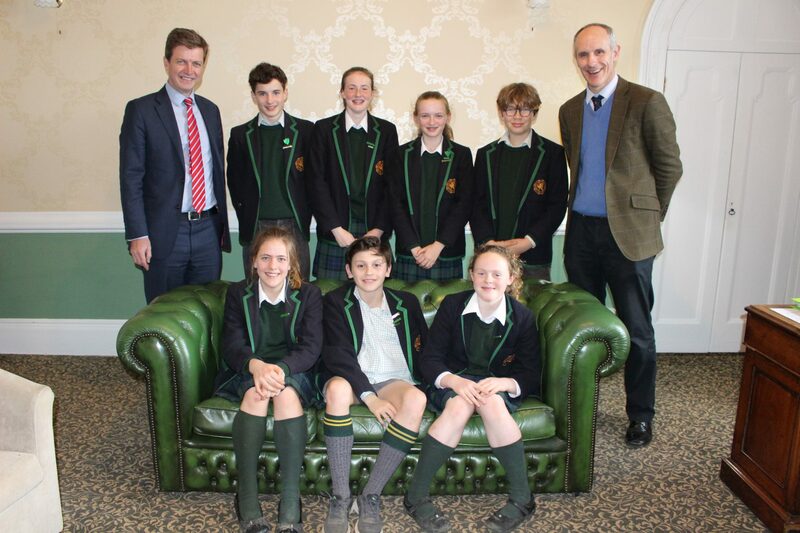 They had a tour of the school, ran a Q&A session with our Year 8 pupils about the transition to senior school and enjoyed lunch with selected pupils in Years 6 and 7. We look forward to seeing you both again soon.